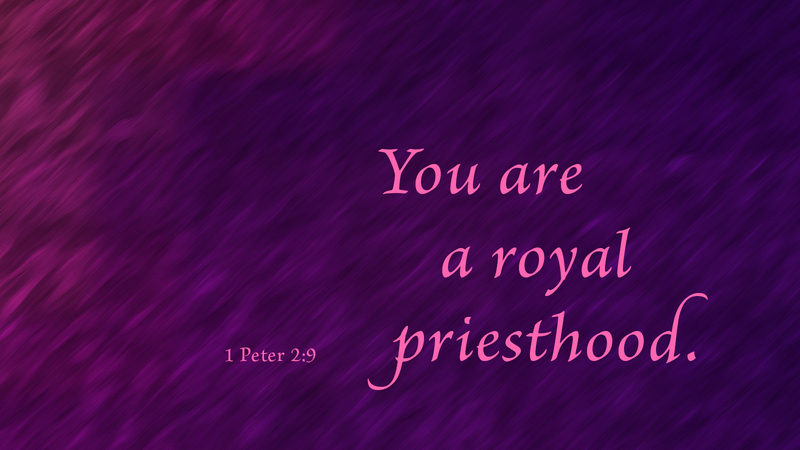 Lastly, Peter’s statement also confirms this: “You…are a royal priesthood” (1 Pet 2:9). These words pertain to the true church, which certainly has the right to elect and ordain ministers since it alone has the priesthood. Everyone of faith in Christ is a priest of God. The church is that “holy nation” Peter means when he speaks of God’s people. From that chosen race, God calls each to a certain vocation. One vocation is the office of pastoral ministry. To be sure, this office is not the priesthood, as the whole church, all of God’s people, is that priesthood. Peter refers to all Christians scattered throughout the world (1 Pet 1:1) as this holy nation and race of priests. Luther referred to the church as the “priesthood of all believers” many times in his writings, meaning every Christian’s vocation is holy, important, and necessary for Christ’s Church. That company of true priests unto God have the responsibility and the privilege to ordain and call certain of their number to the ministry of Word and Sacrament. Prayer: Thank you, Lord, for choosing me, a sinner. Amen. 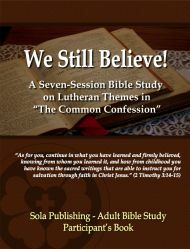 We Still Believe is a Bible study resource reflecting on key themes in biblical Lutheran doctrine that are at risk in the Church today. It is offered in the hope that it will inspire individuals and congregations to examine the core beliefs of traditional Lutheranism and how these beliefs apply to our own present context. Written in a question and discussion style by Pastor Steven King, the participant's book includes an introduction to and copy of the faith statement known as the Common Confession.